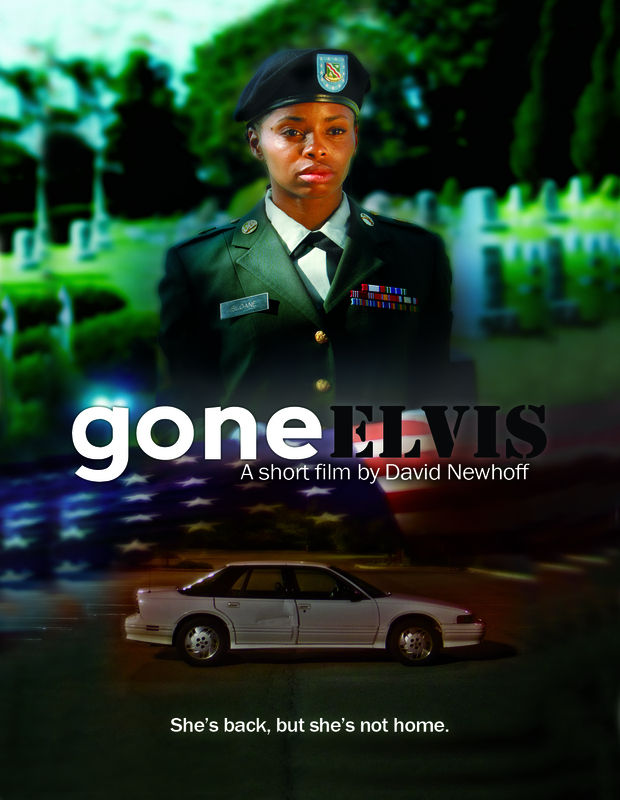 gone Elvis is a short, independent film, written and directed by David Newhoff. Inspired by thousands of true stories, this 30-minute narrative is a fictional portrayal of a day in the life of a homeless, female veteran of the Iraq war. 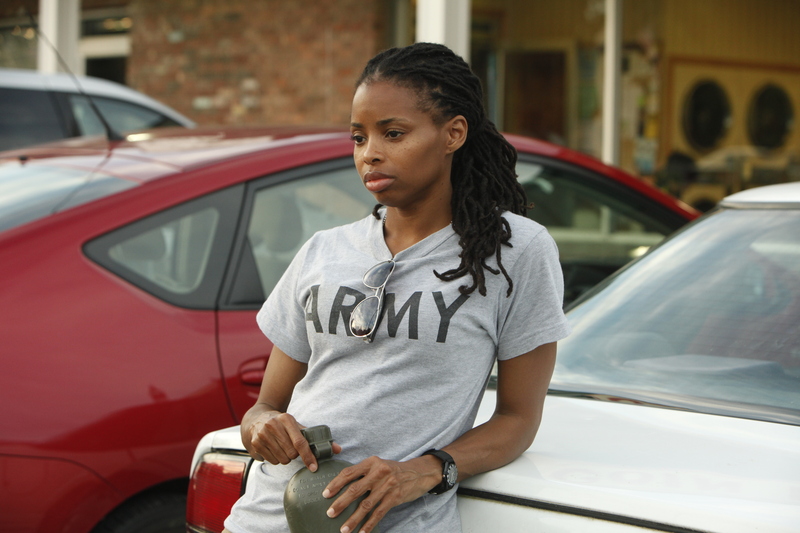 Now living invisibly in the country for which she risked her life, former SSgt. Olivia Sloane (MP) grapples with PTSD and other traumas as she tries to remain functional in pursuit of the life she’s lost. Abandoned by her husband, who also took custody of their daughter, Olivia has returned, like so many fellow vets, to find that life in America has carried on without her and, worse, that it may no longer have a place for her. There are an estimated 6,500 female homeless veterans, which is approximately 5% of the total number of homeless vets on any given night; but the number of homeless women has doubled in the last decade, and female vets are four times as likely to become homeless as male veterans. In general, the rate of physical, emotional, and social trauma among veterans of the recent wars exceeds those of the Vietnam war relative to the numbers deployed. With tens of thousands now scheduled to return home in coming months, most experts expect these problems to get worse as limited resources are stretched even further. This film was made in part to help bridge the divide between military and non-military Americans – to help the civilian understand on an emotional level just a fraction of what these men and women are facing in their post-service lives. The issue of homeless, female veterans first came to David’s attention when his wife, co-producer, Scarlett O’Leary found a series of profiles done by Oprah in 2010. They discussed the subject as a short film project, David did further research, listening to or reading as many women’s stories has he could find, and in April of 2011, wrote the first draft of what would become gone Elvis. David knew Carla Duren from previous work and determined that the film could be done quickly if she agreed to play the role. David contacted Jeanne Veillette Bowerman to help out as an executive producer, and they launched a Kickstarter Campaign to raise funds for logistics, wardrobe, meals, etc. by mid-June. The film was shot in Upstate New York over a four-day period in July of 2011. The cast and skeleton crew consisted of a group of volunteers from the Hudson Valley and New York City. Local organizations and businesses were also very cooperative and generous with the use of locations and facilities. The film was shot using the Arri ALEXA, which came, along with lighting and grip equipment from Tamberelli Digital in New York City.